Ageing cast-iron boilers at the Duke of Cornwall Hotel in Plymouth have been replaced with ProCon 115 condensing boilers from MHG Heating. Measurements of energy consumption following installation have shown average energy savings of 27.5%. 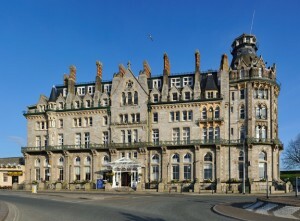 Opened in 1863, the Duke of Cornwall was Plymouth’s first luxury hotel and has 72 rooms and suites, as well as extensive conference facilities and function rooms. Its elderly boilers and calorifiers were proving unreliable and inefficient, so the hotel contacted Yeovil-based Elliott Environmental Services for a solution. “The existing installation comprised four cast-iron boilers connected to a large fan dilution system, as well as three old calorifiers, one of which was leaking,” recalled Jim Elliott. “We replaced these with three ProCon 115 boilers on a rig system linked to a Theta cascade control system. We also provided two new 750 litre Packaged Plate Calorifiers with 154kW plate heat exchangers to ensure a plentiful supply of hot water for guests,” he added. The new system also incorporates a separation plate between the new equipment and the old pipework to prevent damage to the new boilers. In addition, two small existing chimney stacks in the boiler room were relined and used for the flue exhaust from the three new boilers, thus eliminating the need for a fan dilution system. “We selected MHG boilers for their quality and reliability as well as the excellent service and support that goes with them,” Jim Elliott concluded.